So what's up with the release of the single? It's available on Spotify and Tidal, but outside US is not on iTunes or Apple Music, where it's still on pre-order and it says the release date is tomorrow, 18 August. :-? 6 Aretha Franklin tracks above. I'm really annoyed by Deezer because it doesn't show today's releases on the artist page. I needed to search directly for Sweetener, Be the Cowboy and Made For Now and they showed up in the search, but they're not on the artist page. Maybe other services are having the same problem? I love it!!! It’s going to be a hit!! It’s getting so many positive reviews and it’s rising on iTunes USA!! ‘You can break my heart in two, but when it heals it beats for you.’-SG -Back to you. What are they thinking? They should have waited another week, this could have been #1 and get some exposure and good press. This is a summer jam!! This is gonna be her "On The Floor", what a comeback! How would they know Aretha would pass away one day before the release of the single? I know man, but If you see that someone is gonna block your release you can push back the release a week. It's not like she send 500k copies to the stores, this is the digital era, releasing a single means doing one click. Hopefully this is going to be a hit. She is on Fallon today. Hopefully this will push Made for now to #1 on iTunes. Since she obviously wants a hit song with this sound, she should go all out in promoting. If she treats this like what she did to "No Sleeeep", it would be useless. She's only topped by Aretha. This is blowing instantly. 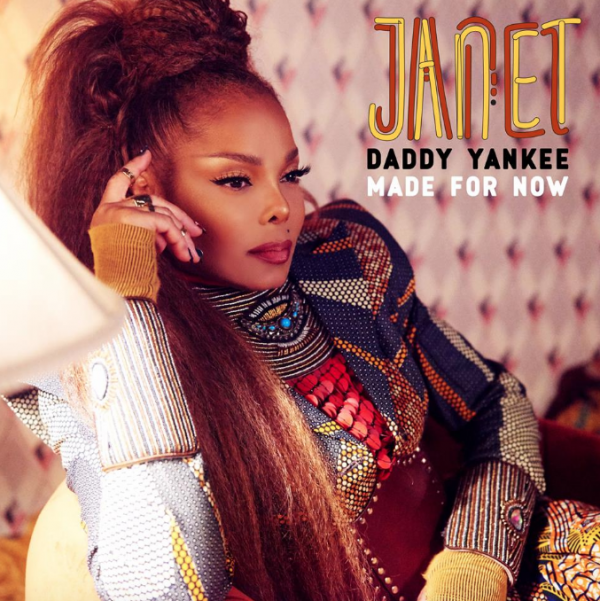 Janet Jackson got a standing ovation, we’re told, after taping an “elaborate” and “colorful” performance of her new song “Made for Now,” with Daddy Yankee, to air on the “Tonight Show” with Jimmy Fallon on Friday. “It was a powerful performance. It featured beautiful production with elaborate costumes and a colorful set,” said a spy. Jackson’s former backup dancer, superstar Jennifer Lopez, will also appear on the episode. The new album will be out in the fall (through Janet own lips). What is happening? Why is this song only available in a few countries and not even on the US or European Apple Music? It's the month of messy releases! Queens be battling who can be messier. I use Deezer and it's still not under her artist page, but if you search Made for Now it shows up. Well songs are officially released on Fridays in Europe. So I see why it’s only released tomorrow. I rather ask myself why it was released in the US one day before.